I had written and compiled a poetry book called The Chase which I am intending to release soon on Amazon. The Chase is essentially about my infatuation and loving term loving relationship with science. To put it precisely – physics. When I was a child, I was intrigued by a computer game about the solar planets in our galaxy. I was drawn to the concept of time on our planet – we have 365 days in a year as that’s the amount of time it takes for a planet to orbit the sun. For other planets, they may take days or years to orbit the sun, and if a human is born another planet we would age differently. I would say I am an atheist at this stage of my life. I have no religion. As Stephen Hawking says in an interview, “”Before we understand science, it is natural to believe that God created the universe. But now science offers a more convincing explanation. What I meant by ‘we would know the mind of God’ is, we would know everything that God would know, if there were a God, which there isn’t. I’m an atheist.” In my opinion at this stage of my life, science provides the answer to our existence in the grand scheme of the universe. My dad is an atheist as well. God, by definition is our interpretation of it. I had expanded on my definition on God to include everything in the universe. To me, that makes perfect sense. When I have a spiritual experience, it is my connection with humanity and all that encompasses in it. Averral is an angelic name bestowed to me by angels on the milky way. My angels in the cosmic flow are watching over me on my journey of creation. I am empowered to make a difference by tapping into the reservoir of possibilities. In The Chase, it is about my love hate relationship with time. Time will eventually rob us of everything as we know it. My dad says that time stops when one enters the black hole. Death of a galaxy happens when it enters a black hole. All things that start will come to an end. On the book cover of The Chase, I had chosen a picture of a black hole. When writing those poems, I was contemplating about the meaning of life and what is the point of living when it all comes to a definite end. Is our life sole mission to procreate? Or create new worlds that we would never imagine possible? What is it really? The subscribers to my blog will get an advanced copy of The Chase once it is out, be sure to subscribe to my newsletter and be rewarded. She was leviating in the air, turning slowly in all directions. Making it balanced once again. HSP stands for Highly Sensitive Person. I picked up a book from the library about the dealing mechanisms a HSP needs to deal with the over stimulation in the non-HSP world. Basically, after picking up the book i realised I have been doing these things on a subconcious level, however, after reading the book, I am concious that my actions are indeed a result of my hyper sensitiveness. Firstly, highly sensitive people have a tendency to be picky about food that is processed with lots of chemicals. These food is very bad for our bodies because they contain too much sugar, salt and fats! They do taste delicious like potato chips and coke, but when it goes into your body – it becomes a health hazard. So, I have been doing a cleansing ritual every night by drinking a flask of freshly brewed herbal tea. I would highly recommend Herbal Sense Life to order packets of every herb imagined possible. They make great gifts to your loved ones. Remember to mix the tea with honey! It tastes fabulous, it is like having tea in a garden. Another issue is noise levels. In a tiny island, it is pretty hard to find some peace and quiet. By exposing ourselves to too much noise pollution from vehicles and overcrowded places – it tends to feel uneasy after a while. It tends to drain our energy. To combat this, do get a pair of headphones with noise reduction. By putting the earphones on, you will be able to listen to your music without noise interference, just that, when you are on the train, you have to be aware when to alight because you can’t hear the speaker system! I would recommend Creative EP-630 Earphones, they fit into your ear so you don’t look like a weirdo. I would also recommend talking regular walks in the park if you feel lethargic. By being next to nature, it instantly rejuvenate you. Nature is the best cure. I would also recommend mediation, just sit down and visualize a beam of white light going through and cleansing your body. The results are great, after doing these exercises you will realise when you are outside you tend to pick up bad energy that looks dark in colour (if you can see auras). Regularly mediate to rid yourself of these clingy bad energy to feel better. As i stepped over the red door into the temple, i saw Lao Zi standing at the far end of the room in front of a gong. He told me to follow him and I obliged. He showed me the stairs towards the second floor and we climbed up the wooden stairway up to an open room. There was a round table, there was two other ladies sitting on the table, they were dressed in traditional chinese costume. He told me to sit on a chair next to them and he sat on the other side, facing us. Following that, he told each one of us to do an excercise. He told the first disciple to conjuer a bowl, she looked at the table and concentrated. In an instant, a bowl appeared! After which, he told the second disciple to fill the bowl with rice. She concentrated her thoughts on the bowl, and the bowl was indeed filled with rice. When it came to my turn, he told me to try leviating in the air. I was hesistant as i know that is not physically possible. He told me not to think of anything and let my thoughts flow. I listened to his instructions, the next moment, I looked down and saw my feet was off the ground! We thanked the master for the lesson. I opened my eyes and saw that I was back in my room. After rubbing my eyes, I realised the master has visited me during my dream. The world is not one dimensional. There are overlapping dimensions. What our physical eyes can see is not what it is to all. However, many of us live in a one dimensional world, it is also called the material world. Many of us feel empty because of the lack of material objects ( the latest iphone, laptops, cars etc). There are infinite wants but limited resources. As a result, many of us want more material objects to fill this “emptiness” in our lives. So, we always feel that we are in a state of poverty. However, life is not about just having material possessions. It is also about spirtual well being, in fact, being spiritually fulfilled is more important then being materially fulfilled. To attain spiritual well being, we have to understand our life’s purpose, our past lives and our vision for the future. Then again, most people do not realise the key to happiness is what lies within their hearts. Our heart will tell us what is best for us. Many people choose to ignore and surpress their feelings to conform to expectations. By understanding ourselves, we learn to accept ourselves. By accepting yourself for who you are, you wil be able love yourself. Only by loving yourself you can then share the love with the people around you to make them happy. This is the key to happiness which we all know but hide inside. Within everyone of us, lies a reservoir of untapped gifts. Imagine, the wonderful contributions to the world you could create if you could let your mind go freely, amassing the knowledge in the whole universe, tapping into all the resources you need to create your works. Let yourself go, do not hinder yourself. Hindrance comes from within, limitations are boundless. If everyone of us awaken to the idea of infinite possibilities, imagine the amount of happiness we could derive out of our gifts. Imagine a world of resources, waiting for you to summon them at your call. Imagine, the pyramids, the great wall, the hanging gardens of babylon. Imagine all that you ever wanted. The new energies are readily coming into the world, feel their higher vibrations, their godlike energy, flowing into your body, empowering your soul. Feel the silver white light flowing into your body. Feel the control in your hands, using your hands to create goodness for all. Feel yourself levitating through the air, with white light covering your body, protecting you from all harm. Feel yourself becoming closer to the core of god. Feel the angels around you, hear the bells ringing in your ears. Listen to your heart, listen to your purpose. Let it guide your way. The shifting conciousness will see the collapse of financial systems and the renewal of spirtual growth. It is an age of transformation, and there are the new breed, right here, right now, who will be the agents of change. Some of you might have heard your calling, some of you may not have awoken yet, some, are preparing for the future. Some of you might have felt the energy shifts, some of you might have experienced headaches, some of you might have sleepless nights from overlapping multi dimensional realities. Some of you might have realised your psychic powers, some of you might have predicted the future, some of you might have saw your past lives. 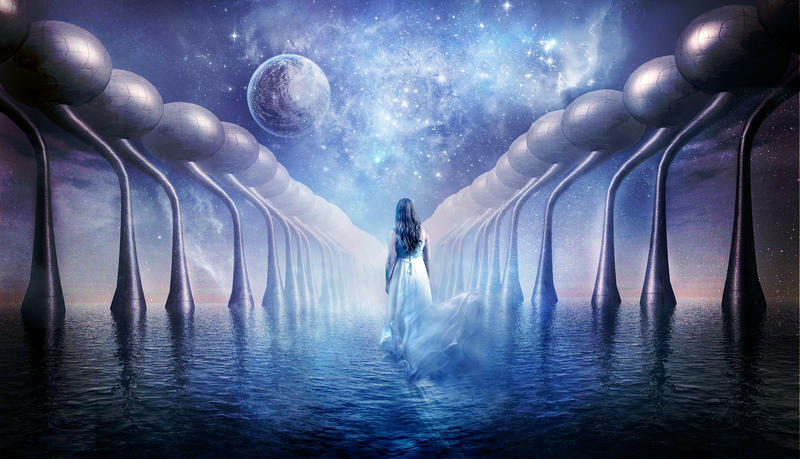 Come, 2012, the indigo child, will pave the roads for the future, for the next step in the purification of the human evolution. It is currently sitting in my cupboard with a circle of crystals around it. It is a beautiful sight. I have been using my Angle Cards to connect with it. Apparently it is a collectors item as only 7200 of it is handcrafted from United Kingdom. I have been mediating with angels for guidance and protection. Its been wonderful with them around. You had come at the stroke of midnight, you told me to be silent and took my hand and brought me to somewhere the world does not know. Rushing down the steps of the endless hallways lighted by flaming torches, the deep dungeons of hanging skeletons in metal chains, the stony brick walls that made time stay still, down and down the flaming hallways of death. We reached the dead end of the cold silent hallway that had been untouched for thousands of years. The haunting smell of death and destruction, pain and suffering, evil and torture. You held my hand and summoned a beacon of light into the dark pit of hell. The walls began to crumble down into grey ashes, terrifying screams filled the air as the skeletons shook and dissolved into white dust, the dungeon was consumed with blinding white light that no evil could withstand, the cries of agony transformed into the sounds of angels – heavenly music of smoothing harps, light showered rays upon us, engulfing all the darkness away. The fears disappeared as resolution sets in, fear is an illusionary barrier that we do not dare to cross. A brave step across the invisible veil will only bring truth. Only the truth sets us free.